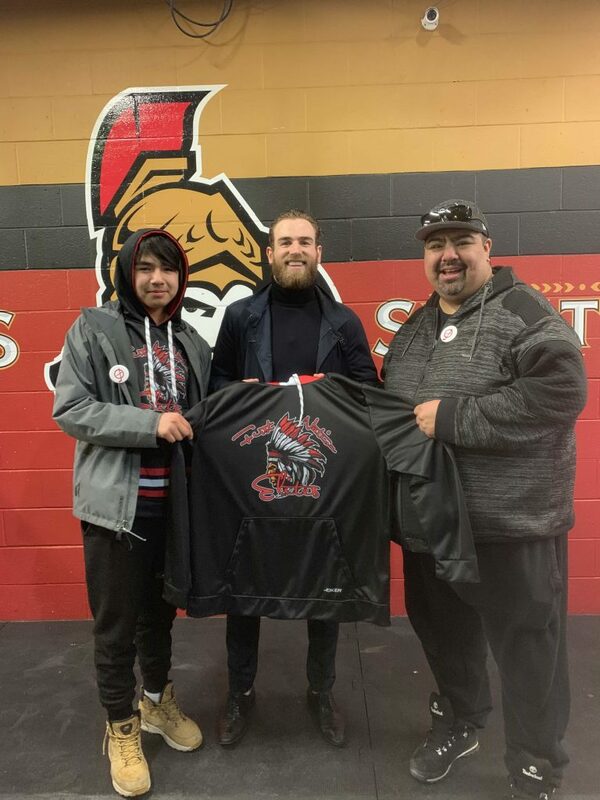 A young First Nations hockey team enjoyed the NHL treatment earlier this month, courtesy of St. Louis Blues star Ryan O’Reilly. 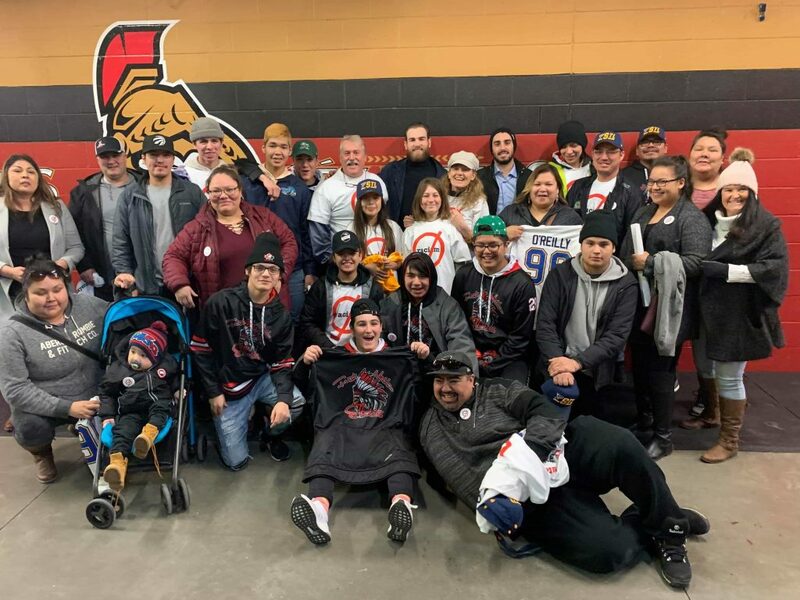 The First Nations Elites AAA Bantam squad were invited by O’Reilly and his mother Bonnie to spend the day with members of the Blues before taking in the action at the Canadian Tire Centre as St. Louis took on the struggling Ottawa Senators. The invitation came after members of the Elites became the targets of vicious racist taunts, including tomahawk chops and mock war cries, after taking the ice for a minor hockey tournament in Quebec City last spring. The team subsequently received gestures of support both from concerned citizens from across the province, as well as from high-profile hockey personalities including former NHL coach Ted Nolan and his son, two-time Stanley Cup winner Jordan Nolan. But the efforts of O’Reilly and the Blues took that support to another level. “I couldn’t believe it,” said Elites manager/coach Tommy Neeposh, while discussing his reaction to Bonnie O’Reilly’s initial attempts to reach out to him to get the ball rolling on this month’s trip to Ottawa. “She got in touch with me after learning about what happened, and said that Ryan was sickened by what happened, and that he (along with his parents) wanted to do something for the boys,” explained Neeposh. With the support of the Blues organization, including interim coach Craig Berube, a Cree from Calahoo, Alberta, the team enjoyed a full day in Ottawa. In addition to participating in the Blues’ morning skate, the young 14- and 15-year-olds had an opportunity to meet with several Blues players, before enjoying lunch with Bonnie O’Reilly and her husband Brian, and attending the game with lower-bowl seats purchased by Ryan O’Reilly. “We were counting the days,” said Neeposh, explaining the excitement among both players and coaches as the team’s special day approached. “This was something huge for the boys. But the time went by so fast. You know how that happens when you’re excited. The kids were all smiles, and so happy to meet Ryan O’Reilly, as well as Alex Pietrangelo, Robby Fabbri and David Perron. While it was his mother that got the ball rolling on the Elites’ special day, it took no convincing to get Ryan O’Reilly on board with the plan. “It was upsetting,” O’Reilly said, in reaction to the abuse heaped on the young players during the incident at last year’s tournament. “Both my mom and I were upset about it. That’s not what the game is about. Hockey is for everyone, and that was just disgusting. There’s no place in the game for it. Those words resonate with Neeposh, who played a leading role in assembling the First Nations Elites team together two years ago, with players from across Quebec and Northern Ontario. “These are kids who are chasing their dream, who want play at a higher level of hockey, who want to get a higher education,” said Neeposh. With many of the players also committed to other teams during the season, the Elites focus primarily on AAA hockey events and tournaments that take place in the spring, which can provide the young players with the type of exposure they cannot get playing up north. “I try my best to take them to tournaments down south and showcase them to scouts there, because the scouts never come up north. So I do what I can to get them exposure they might not otherwise receive,” Neeposh said. Neeposh has kept busy, putting together five teams that play at the Pee Wee, Bantam and Midget levels. But Neeposh is particularly passionate about a team he has assembled with the objective of building bridges between communities in an effort to combat racism. This year, the veteran hockey coach has worked to put together a “Fight Racism” squad with a roster comprised of a mix of First Nations kids and players from Abitibi.